Unity is a state of mind. To many, it also represents reality, the reality of the Now. Living in the Now, then, is an important part of being real. When you live in this state you are grounded and awake. You are not at the mercy of your memories or future imaginings. When you are with someone who is present in that way, you feel transparent. They are like mirrors, and the more present they are, the less they distort your image. This is a wonderful service! Masters throughout the ages have revealed the importance of living in present-time. For instance, Jesus suggested that we take no thought for our lives. The birds do not plant seeds or harvest, yet they live. We should feel the same way and not worry about tomorrow, because tomorrow will take care of itself. Instead, we should attend to what is in front of us. 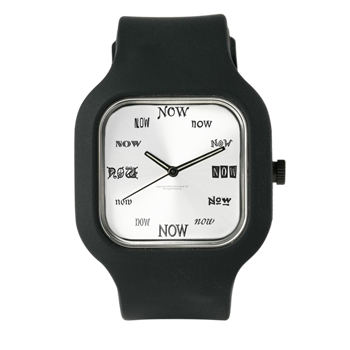 When we consciously live in the Now, we experience present-time reality. The alternative is living in thought-stream reality. Thought-stream reality flourishes in our head and is not directly focused on the reality in front of us. Like memory in action, it represents our mental and emotional understanding about How It Is. By living from memory, parts of our psyche remain immature, and we create unnecessary suffering. For example, say that Uncle Hubert calls. He is stopping by tomorrow. If given a choice between a visit from him or Dracula, you would quickly pick the Count. Although the visit is tomorrow, you spend hours imagining how unpleasant it will be. You remember how abusive he was the last time. You already picture him drunkenly spilling beer on your living room rug and snorting obnoxiously at his own jokes. Sheesh! The next morning, Hubert phones: He is staying home to watch the game. No visit today. That means you’ve wasted a whole day worrying. Even if he did stop by, you still have wasted that day. That’s a downside of thought-stream reality. You could have, however, explored this situation from the perspective of present-time reality. Instead of worrying, you could have tuned into your body and discovered its view: the fan is spinning. Your nose is stuffy. Beethoven’s Ninth Symphony is playing on the radio, and so on. Where is the dread and worry? The experiential difference between realities is enormous. For a happier, fuller life, the trick is to experience present-time reality more often. As the force of the thought-stream diminishes, you experience the stillness and peace of the Now. Here, faith takes root and grows into a new lifestyle. Here is a two-pronged approach to increase the experience of present-time reality: traditional meditation and meditation-in-action. Find a technique that works for you and practice it. This promotes single-mindedness and can sharpen your awareness. Traditional meditation also improves how you perform the meditation-in-action techniques. Meditation-in-action techniques are simple and effective tools for grounding. They concentrate on four areas: inner sensations, thoughts, the outer world, and emotions (ITOE). Meditating on inner sensations means being aware of what is happening inside your body. For example, be conscious of your breathing—a popular practice in Zen—or of how your ankles feel when you walk. Feel your posture or the tension in your shoulders. Do body checks often. Second, pay attention to your thoughts, but don’t identify with them. Consciously listen to the monologue as if it were the words of someone else. The thought-stream flows constantly, so you can always hear it. Third, meditate on the outer world; be aware of your surroundings. Revive your senses: see, hear, touch, smell, and taste. But don’t just look—see. Try to picture the beauty of nature as an artist would. Watch the drama of life like a writer. Feel the texture of fabric or notice the different colors on the computer screen. Enjoy the complex song of a mockingbird. Wherever you are, something is there to experience. Lastly, focus on how the body expresses emotion. Instead of being swept away by those feelings, watch their existential effects. Notice how your muscles tighten in response to fear or how worry upsets the stomach area. Sometimes you may feel unpleasant energies in your body: don’t define them as anything other than energy. We have Will; we can choose our reality. Choosing the mind’s version (thought- stream reality) instead of the body’s (present-time reality) can prolong suffering. For instance, say you decide that you feel depressed. That’s the mind’s view. What is the body’s perspective? What does it see? The TV is on, your breathing is shallow, and the door is open. Where is the depression hiding? You won’t see it anywhere, because your head created it. It was born in the thought-stream. The human tendency is to play in this reality. In sum, you can ground your consciousness by meditating on inner sensations, thoughts, the outer world, or emotional reactions. Use these techniques to dissipate anger, disappointment, inappropriate guilt, worry, confusion, or anything else. The trick is to remember to use them when the emotion arises. By switching to present-time reality, we ground our emotions and thoughts into the physical body. And since the body communicates with energy and action rather than words, it offers a fresh way to interpret experiences. We see the raw facts of an event (Now) and ignore as best we can the added interpretations (“I’m sad”) of the thought-stream. Some say that this approach avoids the problem. The alternative, however, is to continue trying to “figure it out” in the thought-stream. While this pull-yourself-up-by-the-bootstrap strategy has obvious benefits, we remain in the choppy currents of thought- stream reality. The point is to cultivate the Now experience into a more continuous state. Several barriers can prevent us from living in the Now. One psychological factor is the fear of being spontaneous: “What if I make a fool of myself?” For some, the spontaneity of the Now is threatening, because it exists outside our psychological safe zone. This reluctance to act instinctively implies either a distrust in our ability to function intelligently in a non- rehearsed way or a fear that someone will punish or humiliate us. This is reasonable. First, according to some of our buried memories, acting freely is potentially dangerous. Second, moving from thought-stream reality into present-time reality is awkward. We are entering a new reality (at least subjectively), and that takes getting used to. Living there requires releasing habitual ways of thinking, behaving, and, eventually, feeling. Present-time reality is the realm of children and the inner child. Another hurdle is this belief: “If I live ‘mindlessly’ in present-time, then I’ll be a robot or a zombie.” Although this belief is also reasonable, it represents an over-dependency on the rational mind. Mindlessness does not mean that we can no longer discern. Our mental processes continue to operate when we live in the Now. We simply suspend judgment, and this opens us to greater understanding and opportunity. In the Now, we rely on our intuitive or spiritual knowing to guide us. Yet another obstacle is the belief that the Now is boring, or worse, that we become boring. We fear its “emptiness.” This is ironic, since everything exciting takes place in the Now. Present- time reality is a creative state. Actually, its “emptiness” is peace and stillness, but we don’t recognize this at first: we naturally fear the unknown. We can also interpret the Now as a miracle. If you believe that God created the universe and that creation was a miraculous event, then the universe that resulted was miraculous. Existence, which is happening right now, is a miracle. This is not boring! However, our biological and psychological filters make us miss this. Additionally, many interpret “boring” as a lack of drama. For instance, some enjoy the occasional luxury of feeling sorry for themselves. Jumping into the Now, however, reveals how empty that emotion is. Once you jump, you can’t put your heart into that emotion. In this sense, the thought-stream is the empty reality, not present- time. Perhaps the most difficult barriers to living in the Now are intense, survival fears. These deep running, thought-stream impulses interfere with our intent to evolve. During these inner skirmishes, the will that we exercise the most is the one that becomes stronger. Brain science has shown that chemicals and neural connections in the brain play major roles in our experience. If nature and culture have wired our brains to experience negative emotions and to live fatedly in thought-stream reality, then our work becomes biological, as well. In this sense, we should welcome negative emotions. We can ground them and study their influence on our body. By understanding this, we have a chance to master them, and this reshapes the wiring and chemistry of our brain. It’s helpful to see the thought-stream as collection of “Mini-Me’s” that exists in your head. Each Mini-Me has its own opinion about life. Each is a self-image; some are roles. Taken together, they form our personality. For instance, one Me might believe that you should practice unconditional love. Another might believe that justice should be served when someone injures another. Yet another might chime in, saying that you should balance the two views. You can even name them: “Ms. Love,” Ms. Fairness,” and “Ms. Diplomacy,” respectively. Our present-time self, the “Listener,” hears each Mini- Me, but does not intervene or identify with any of them. The dramas that we create in thought-stream reality can cause personal and social strife, high blood pressure, and other psychosomatic illnesses. Can living in present-time reality remedy this? If these negative conditions can form only in the thought-stream, then yes it can. This may not prevent all negative results; however, living outside the mind’s distortional envelope can promote healing and make us mentally, emotionally, and physically healthier. In addition, living in the Now dissolves non-evolutionary intent, like wanting to dominate others. Dogma within human organizations changes, but change is usually slow. However, an effective revolution can take place on an individual level. If we transcend our mental illusions, then we become more real, more ourselves. Though cultivating the habit of living consciously in present-time reality is difficult, the rewards could be great. You let go of fears and expectations, and you surrender to—and investigate—the real Mystery of life. Love is reborn in your heart. If this practice can transform individuals and groups, which it can, then it can transform the world. However, this new level of “Now Consciousness” that our species may reach is not the final step. We will then experience even higher levels of awareness, energy, and understanding. New possibilities will appear, many beyond the reach of our current imagination. Maybe this is part of the reason that we are here.